Dr. Kebonye Dintwe and Dr. Gregory Okin from the University of California Los Angeles (UCLA) investigated the response of soil organic carbon (SOC) fluxes to climate change in the Kalahari. 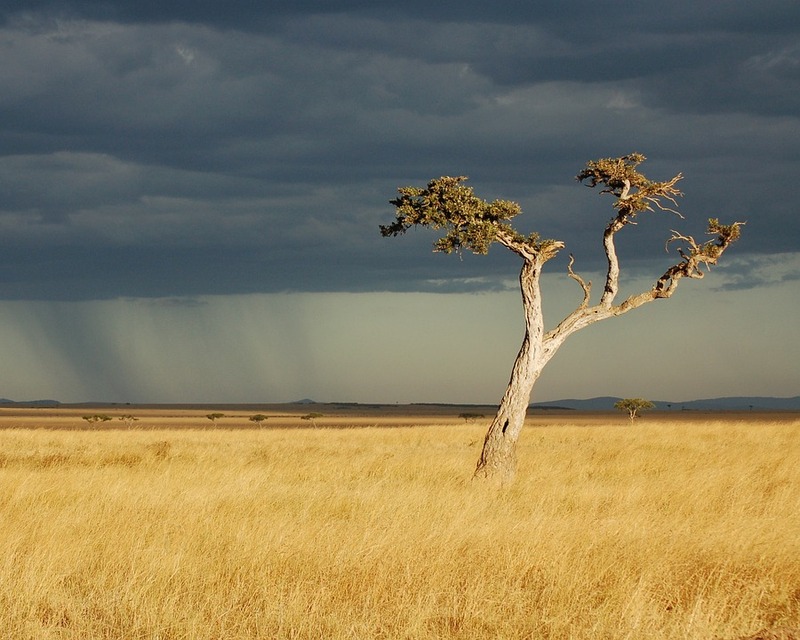 The study was undertaken in a context that climate models indicate that climate change is likely to affect carbon (C) cycling in drylands, particularly savannas. Existing models do not quantify nor indicate the magnitude and directional change of SOC fluxes in response to climate change. In this study, the investigators used the Century model to analyze how soil C sequestration, soil respiration and net primary productivity (NPP) would be affected an increase in atmospheric CO2 and soil temperature. They also assessed the coupled effects of precipitation and temperature change on C dynamics under three Intergovernmental Panel on Climate Change (IPCC) climate scenarios; historical, RCP2.6 and RCP8.5 (Representative Concentration Pathway). Furthermore, they assessed decoupled effects of each of the climate variables under the three IPCC carbon emission scenarios. RCP2.6 represent low emission scenario, whereas RCP8.5 represents very high carbon emission scenario. In their study, Dintwe and Okin calculated the total soil organic carbon (SOC) in the Kalahari savannas to be 0.9 Pg C (1 Pg = 1015 g) in the top meter. It is estimated that the soils in the Kalahari will lose about 10% and 18% SOC in the top one meter under RCP2.6 and RCP8.5, respectively. The rate of SOC loss due to climate change is estimated at ~1.1 Tg C yr−1 (1 Tg = 1012 g) and ~2.0 Tg C yr−1 under RCP2.6 and RCP8.5, respectively until the end of this century. Because of the existing strong north-south precipitation gradient, homogenous soil texture and low SOC content, the Kalahari, was used as a representative of global savannas. Therefore, if SOC loss in the Kalahari was extrapolated over the global savannas, the investigators calculated net SOC loss of ~28.4 Tg C y−1 and 64.1 Tg C yr−1 under RCP2.6 and RCP8.5, respectively. The study further demonstrated that an increase in soil temperature results in loss of soil organic carbon (SOC) by accelerating soil respiration. On the other hand, doubling atmospheric CO2 concentration causes an increase in SOC. Although an increase in atmospheric CO2 would enhance plant productivity, particularly C3 plants, soil temperature increase will likely counteract the effects of CO2 by enhancing soil C loss through microbial respiration, whereas reduced precipitation will likely to reduced soil C input. The study revealed that temperature and precipitation have roughly equal contributions to maintaining SOC stocks and that C fluxes respond to the overall sum of the effect of temperature and precipitation change. The rapid loss of C from savannas soils could accelerate global warming and strengthen positive feedback mechanisms between climate change and processes controlling SOC. The results of this study vividly support the positive feedback between the SOC and atmospheric C cycles and indicate that these feedbacks are not adequately accounted for in existing Earth System Models (ESM) that are part of Coupled Model Intercomparison Project Phase 5 (CMIP5). We support revisions to ESM as necessary to adequately account for the positive feedback. Furthermore, these results call for policymakers to take into account biogeochemical process dealing with climate change issues. This study, Soil organic carbon in savannas decreases with anthropogenic climate change was recently published in the journal Geoderma. 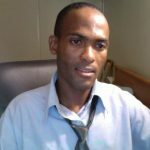 Dr. Kebonye Dintwe is a researcher at the Botswana Institute for Technology Research & Innovation and Dr. Greg Okin is a professor at the University of California Los Angeles – Department of Geography. I am interested in understanding how Carbon fluxes in drylands ecosystems would respond to climate change. Drylands cover about 40% of the total land surface, contain about 15% of the total global soil carbon, and most importantly, are home to 30% of the world population. The IPCC 2013 report indicated that drylands, particularly savanna ecosystems, would experience a decrease in precipitation and an increase in temperature by the end of the 21st century. Precipitation and temperature are key drivers of carbon pool fluxes in drylands. Depending on the directional change of the climate, drylands could become carbon sink or source. Currently, it is not clear how the massive carbon in drylands would respond to climate change and anthropogenic activities.